Recycling is more important than ever. The world’s climate is changing with no improvement in sight. You know how the saying goes, “if it were easy then everyone would do it”. Why can’t it be that way with recycling? Did you know that 91% of plastic bottles aren’t recycled? People aren’t educated when it comes to this subject. If we all knew the facts about recycling, we could all pitch in. Ready to know some of those facts? Let’s get into it! Have you ever noticed a number on the inside of the recycle symbol? That represents the kind of plastic it’s made out of. The numbers range from 1 to 7. Number 7 is often times non-recyclable. Why? Because it’s made from polycarbonate. It’s a flexible alternative to glass and is what baby bottles are made from. Confused by the multiple bins for paper products? That’s because the type of paper it is makes a difference during the recycling process. Paper products that were used to hold food, such as cereal or dry pasta, can contaminate non-food paper products. Leftover food causes the paper to begin the biodegrading process which makes for poor recycling. Next time you want to recycle your paper products, make sure to place it in the right bin. When new electronic devices are on the market, what do people do with their old ones? They throw them away where they end up in landfills. The growth of the electronics industry is the cause of this e-waste. But, 75% of old electronics are held within households because of the lack of electronic recycling options. Speaking of e-waste, it can help you earn more on your tax refund. Companies that are non-profit and accept end-of-life electronics makes you eligible for a deduction. Enlisting a tax company like UltimateTax can help you achieve the maximum amount possible. 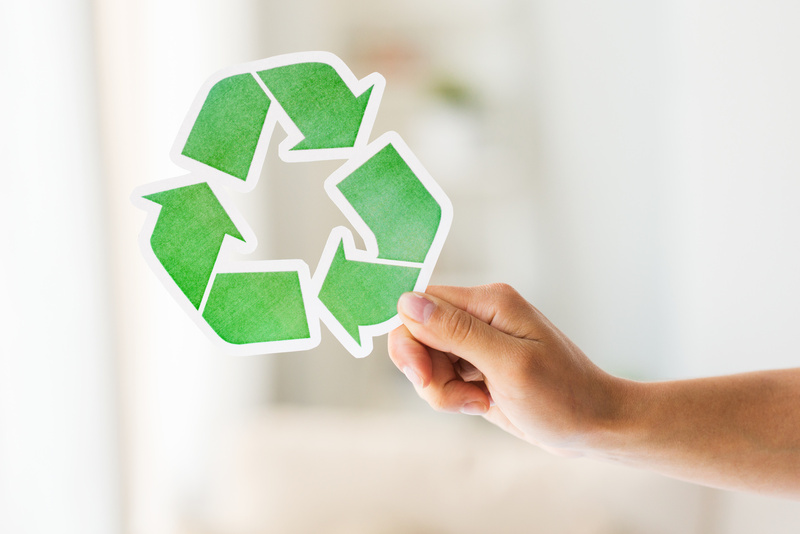 Who knew these facts about recycling could help you earn money? Sustainable fashion is slowly on the rise. Fashionistas are looking for ways to help the planet while looking fabulous. Companies recognize this and are now using luxury, eco-friendly fabrics. These not only help the earth but will last longer than synthetic fibers. That aluminum can you drank soda from can easily power a tv for a couple of hours. Scrap metal is becoming more popular to recycle as it requires less energy to produce. Sadly, unused Pyrex dishes cannot be recycled. Compared to other glass items like mason jars, they have different melting points. Therefore, most recycle plants won’t accept that type of glass. While there’s a lot of regulations involved, farmers could use food scraps to feed their livestock. This would make the animals a lot healthier and if used for consumption, their meat would be better too. Recycling can be confusing at times. But it’s not hard to do. Knowing what products are recyclable is all it takes. Going green is a good lifestyle choice and helps the planet. If you’re on your way to living a greener life, check out our eco-friendly tips.